We will get it all together for you. All you need to do is make one call 717-399-9444 and relax...You deserve to be catered!! Browse our menus and contact us before your next Corporate Meeting, Wedding Reception, Banquet, Graduation, Private Party, Summer Picnic or Luncheon, to see what we can do for you. To contact us, call 717-399-9444, drop us an E-Mail, or use our contact form. 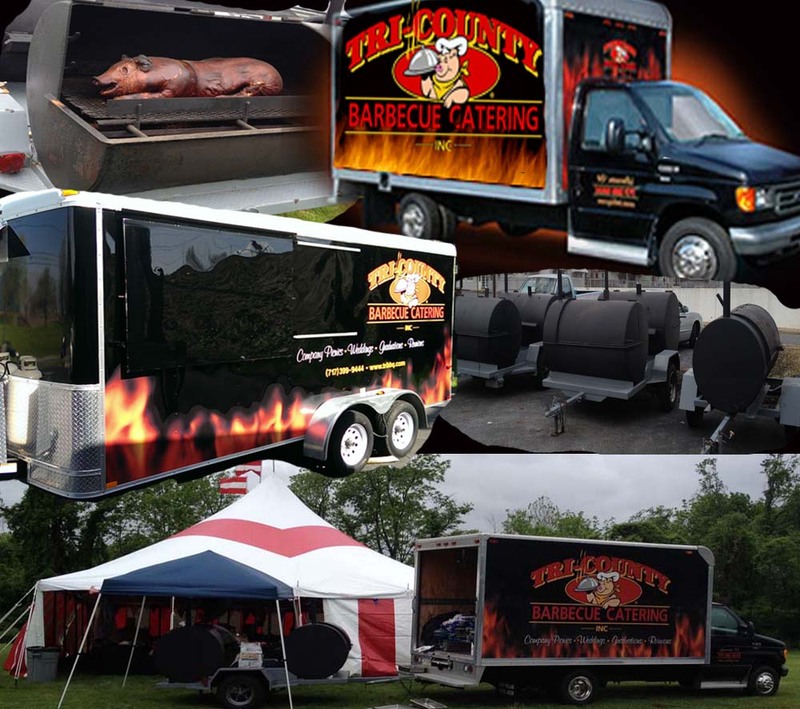 Here at Tri-County we pride ourselves with being a full service self-contained, hassle-free on-site catering company. Let us take care of the food preparation and serving, so you can relax and enjoy your event. Whether you are planning a small private gathering or a large corporate function, we can accommodate small or large groups from 50 To 3000 people. Located Near downtown Lancaster PA, Tri-County Barbecue have been serving the surrounding counties for over 15 years. We have everything you will need from weddings to a large company gathering. Need chairs we have them, need shelter from the rain we put up a tent, want to enjoy yourself we do the work. Visit us before you stop anywhere else!